Indicator strain ( E-coli ATCC 25922 ) is streaked in a lawn on agar plate (Mueller hinton agar). A meropenem disk is placed in the middle of the agar plate after background lawning. 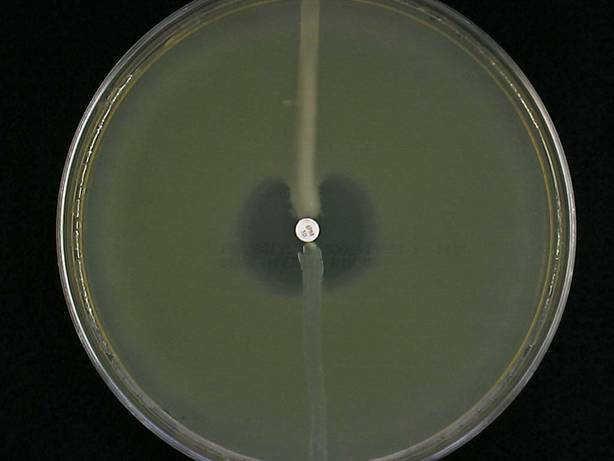 3-4 colonies of the test isolate are taken with a sterile loop and streaked on the plate from meropenem disk to periphery. Positive control (Klebsiella pneumoniae ATCC 1705) and negative control (Klebsiella pneumoniaeATCC 1706) are streaked on the same plate at 45 degree angulations from meropenem disk to periphery for quality control. 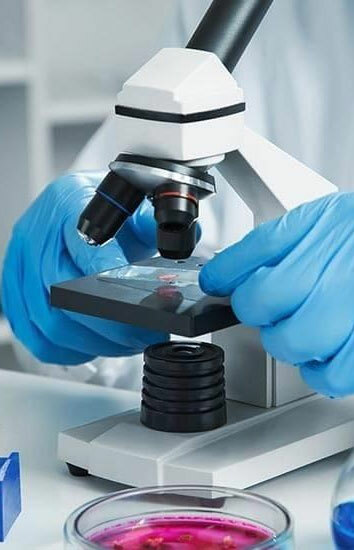 Carbapenemase producting isolate is detected by the MHT when the test isolate produces the enzyme and allows growth of a carbapenem susceptible strain (indicator strain E.coli ATCC 25922) towards a carbapenem disk. The result is a characteristic cloverleaf-like indentation incase of carbapenemase production. The plates are examined after 16–24 hours of incubation for a clover- leaf type indentation at the intersection of the test organism and the E. coli 25922, within the zone of inhibition of the carbapenem susceptibility disk. MHT Positive test has a clover leaf-like indentation of the E.coli 25922 growing along the test organism growth streak within the disk diffusion zone indicates that this isolate is producing a carbapenemase. MHT Negative test has no growth of the E.coli 25922 along the test organism growth streak within the disc diffusion indicates that this isolate is not producing a carbapenemase.